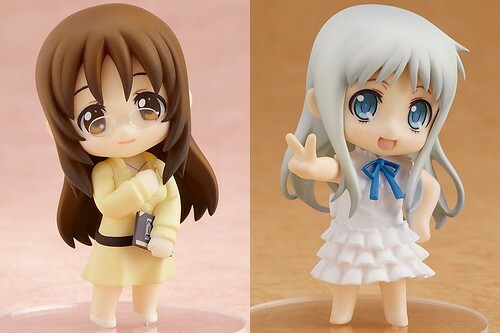 Anime Style vol.5, which includes Nendoroid Petit Yamanaka Sawako from K-ON!, is supposed to be released by this month, but it has been pushed to December, while Anime Style vol.6 with Nendoroid Petit Honma Meiko (Menma) from Ano Hana is delayed from December to January next year. I guess the delay is caused by the strong demand for both magazine issues, forcing GSC to adjust the publish schedule. Well, what do you think about the delay, Nendonesian? This entry was posted in News and tagged anime style, ano hana, honma meiko, k-on, menma, nendoroid, petit, puchi, yamanaka sawako. Need my sawa-sensei nendo! Now.